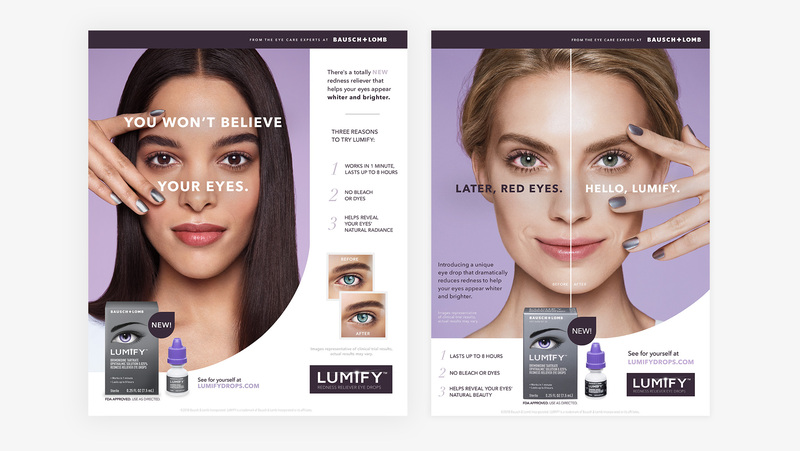 Behold an extraordinary new eye drop from Bausch + Lomb. 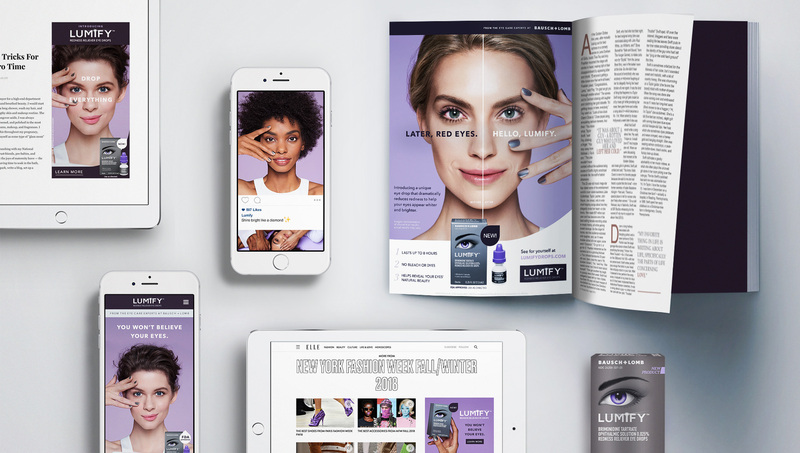 Lumify is so effective at reducing redness that it makes your eyes appear whiter and brighter, to reveal your natural radiance. You won’t believe your eyes. 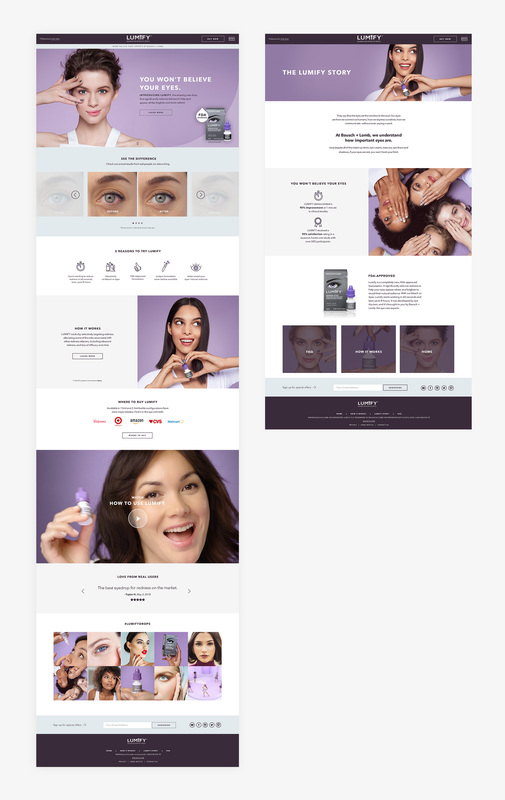 This fully integrated online and offline campaign relies heavily on graphic and sonic mnemonic cues to create distinctiveness and recall. Among W45+, testing showed over 50% unaided recall after just one :30 impression.